Last week I started this blog post and thought I’d saved it, but hey guess what?! I didn’t, the next day when I was going to finnish it I was so pissed that I just didn’t do anything haha. Sorry about that guys. 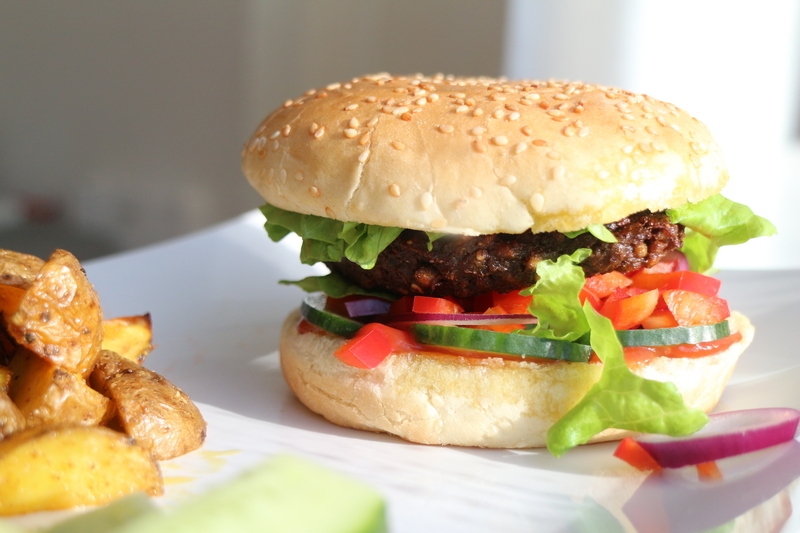 Okay these black bean burgers are so good, and such a good treat on a weekend for the whole family. My 5-year-old daughter ate a whole Burger in a bun by her self, I was really impressed with her, because she has not been a big fan of burgers. Lets jump to the recipe and instructions. The first thing is to boil the barley for 35-40 minutes. 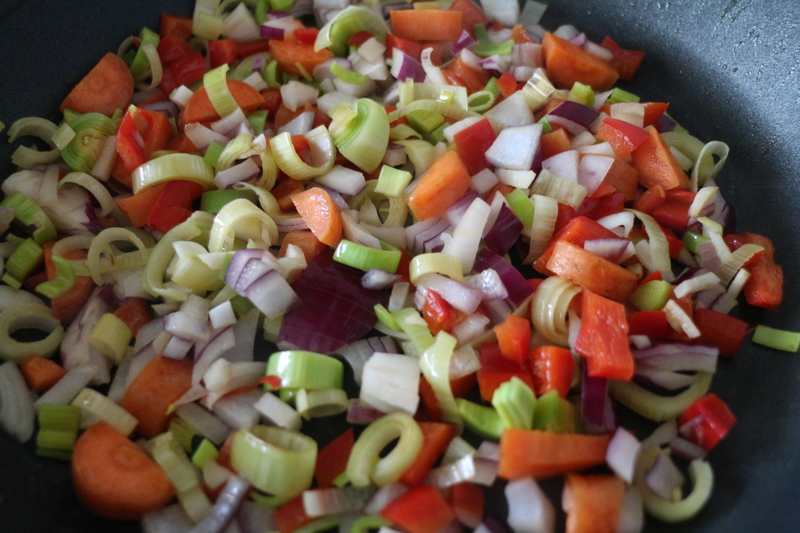 Next chopping veggies and add to a hot skillet for 5-10 minutes. When both barley and veggies are ready, rinse your black beans under cold water. 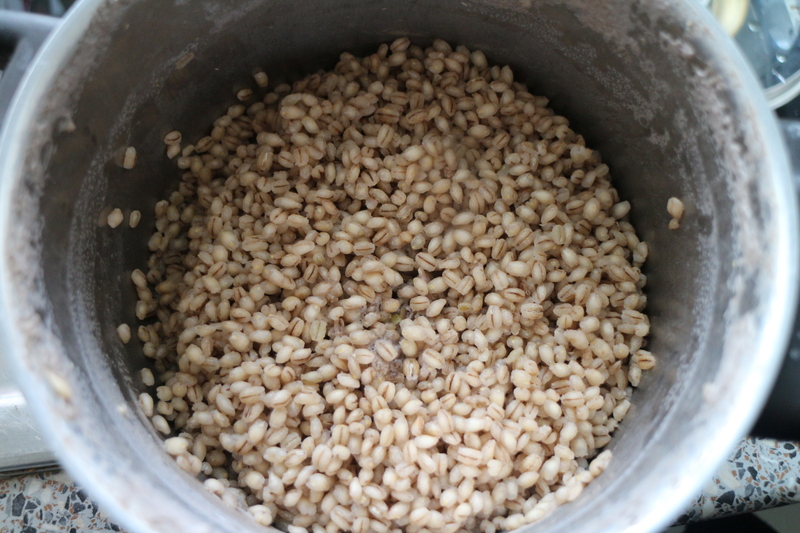 Add beans and barley to a food processor. Pulse for 3 minutes. Then add veggies and seasoning. 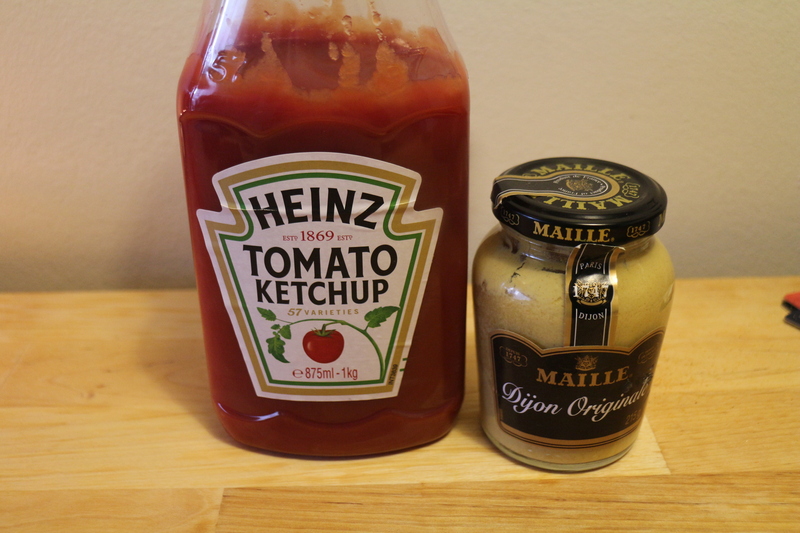 When everything is well combined, mix the thickeners in. When the mixture has reached the texture you like, you need to form burger patties, I feel like it’s best to use your hands. I form patties as I go frying them. 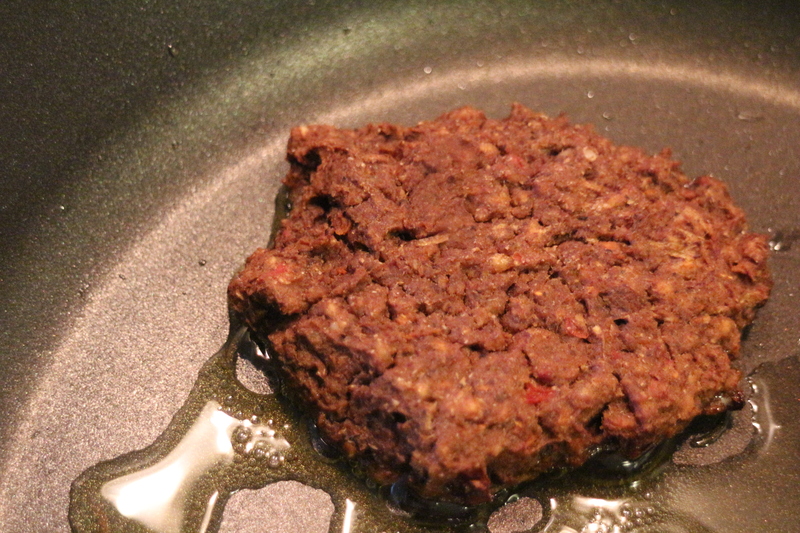 So I form one patty and add it straight away to a hot skillet with a dash of olive oil and so on. Cook till cooked through, approx 4 minutes on each side. You can also bake them in an oven if you like. Mine is never perfect looking, but they always taste amazing. 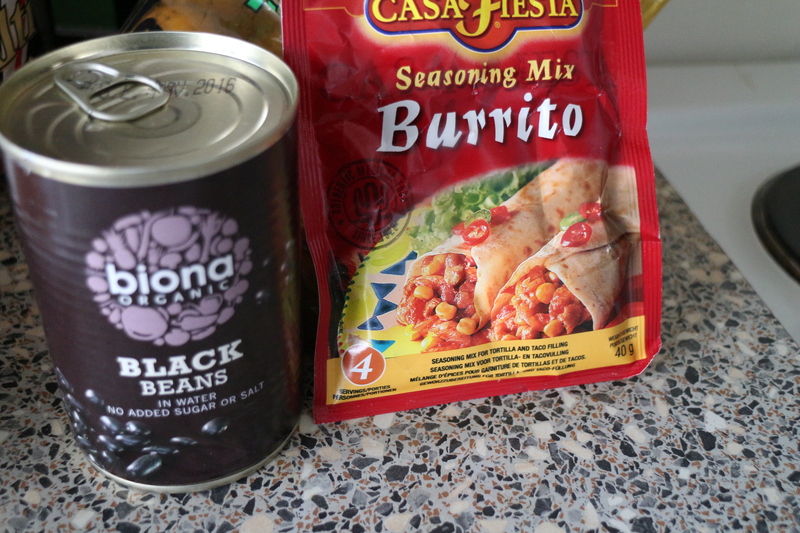 1 can black beans rinsed. 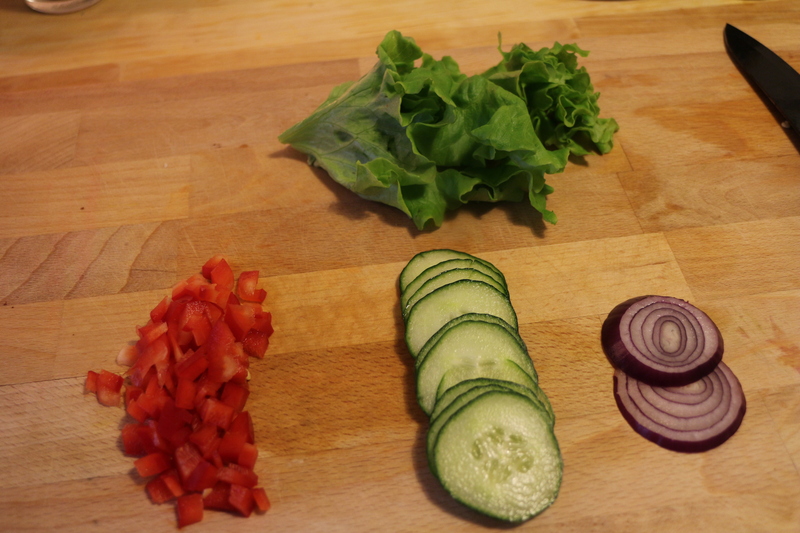 My toppings were salad leaves, cucumber, red bell pepper, red onion, Dijon mustard and Ketchup. I really hope you try this burger patty. I’m so happy with the result . This is a recipe I will make over and over again. I also wanted to tell you that I tried using the patty with a Sunday roast, that is, with potatoes and gravy, and it was very nice. 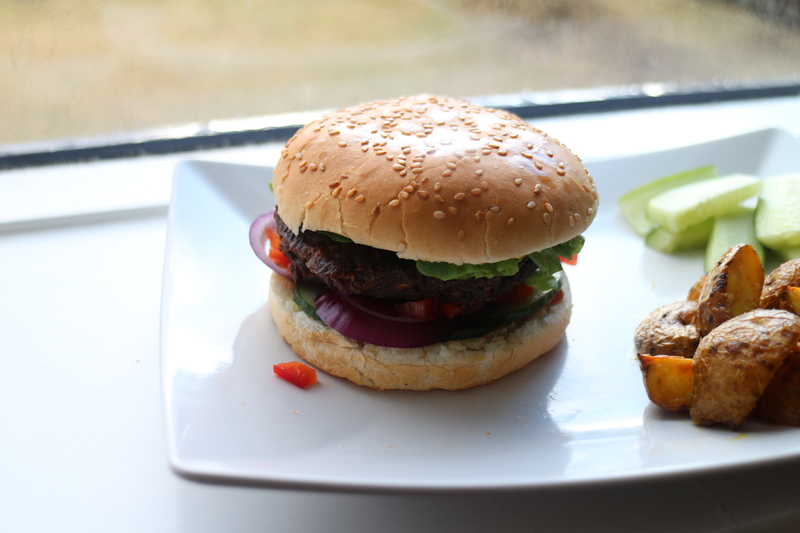 Multitasking burger patties.